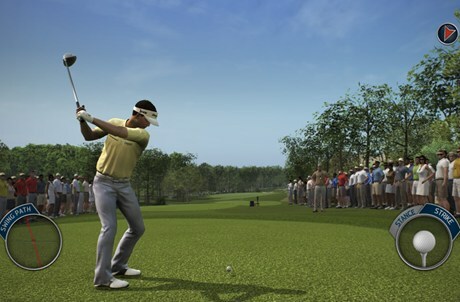 Coinciding with the good results that Tiger Woods returns to achieve in the golf courses after temporary withdrawal, reaches the simulator of this most popular sport, Tiger Woods PGA Tour 14, and once again does not disappoint, with interesting news. Yes, in principle, some options are only available on the PlayStation 3. EA Sports returns to get a spectacular job, which will certainly note the tradition of this company in the sports simulation games, which are absolute leaders. As with all editions of this series, you may participate in a wide variety of playable offers, but the most attractive is the Career mode. We started creating our player, with extensive possibilities offered by the editor, both physically and aesthetically and technically. From there, our goal is none other than to become the best golfer in the world. At first small tournaments will dispute to be progressing and reaching the PGA league. It also offer an attractive option on-line tournaments where we can share with up to 24 “golfers” and of course remains how “Legend of the Majors”, where we can enjoy the game of the best golfers in the history of this sport. The control system works perfectly and integrated peripheral compatibility with PS Move. Again, the information provided by the game results and statistics level has been completely updated, and more golf fans may be completely cutting edge of what’s happened in this sport since leaving the previous version. Here included new playgrounds, perfectly adapted to the game and also new golfers.